South Suburban Savings: FREEBIE Alert: Hanger Game (Regularly $0.99) - TODAY ONLY!!! Sign Up For the SSS Newsletter! FREEBIE Alert: Hanger Game (Regularly $0.99) - TODAY ONLY!!! TODAY ONLY, Amazon has the Hanger Game App available for FREE download to your Android Smartphone or Kindle :) This has a near perfect rating of over 20 reviews so this one seems like a good one to get! Click here to get your FREEBIE! 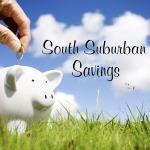 *This post may contain affiliate links...they are what helps to keep South Suburban Savings alive! However, I do my best to only post credible deals, and I participate in most of them myself. To see my full disclosure policy, CLICK HERE! Sign Up For The Daily Newsletter! Hi everyone! My name is Anna, and I am the person behind the scenes at South Suburban Savings :) I was trained at a very young age to never pay full price and I've been couponing my whole life. I vividly remember clipping and organzing my mom's coupons in the Sunday paper back in my kindergarten days! My husband (aka my Superman) and I live in the south suburbs of Chicago with our son and our little Chiweenie. 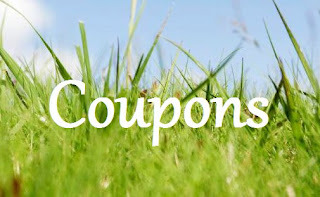 Couponing helped us to accomplish our goal of owning our very own home a couple years back, and I love helping to pass along those savings. As I always say: save where you need to spend where you want! Life with a toddler can get a bit hectic so I may disappear for a couple days now and then when I can't find a free minute, but I'm still VERY devoted to my other "baby" (South Suburban Savings). There are always a ton of baby/kid related deals which I love to share, but I also love to focus on FREEBIES, coupons, and online deals for EVERYONE! Have your own website or blog? 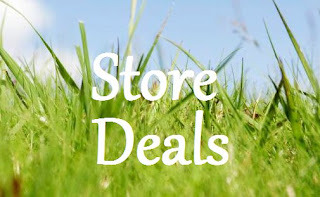 Promote these types of offers and earn money! CLICK HERE to find out how!